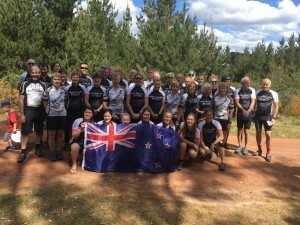 A strong contingent of NZ mountain bikers (55 in total), travelled across the Tasman to compete in the Australian MTBO champs and ANZ Challenge, on 7th and 8th October at Wingello NSW, about 150kms South of Sydney in the Southern Highlands. Kiwi’s significantly bolstered numbers in the championships, making up a third of the 176 entries for the champs. Their presence was also felt in terms of their active support, comaraderie and team spirit, which a number of our Australian friends noticed and commented on. Especially pleasing this year was the addition of many new junior riders, enabling NZ to include W16 and W20 junior grade teams. All we need in future events are more male juniors to complement the outstanding talent coming through in the junior woman ranks. There were many outstanding performances throughout this competition, with clean sweeps across all three grades by Brent Simpson (M40), Michael Wood (M70), and double wins for Tegan Knightbridge (W20), Deb Bain (W50), Viv Prince (W60), Andrew Skelton (M50), and Nick Collins (M60). Australia hosted an excellent championship and supporting events which included a warm up event and night event in the week leading up to the champs. 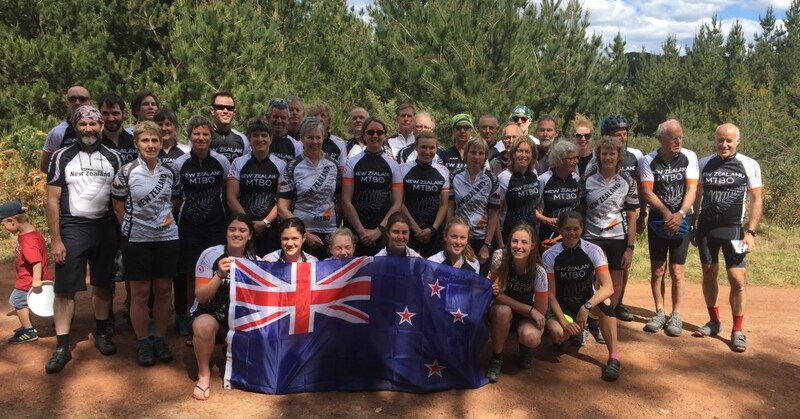 Maps and courses were excellent, and the Australian organisers and MTBO committee made all the kiwi’s very welcome. We now look forward to the next major MTBO event which will be the NZ MTBO Champs in Otago in April 2018, which is also an ANZ Challenge. We encourage established MTBOers and people new to the sport to attend this, which promises to be an excellent event in some outstanding areas. We also encourage people to apply to be part of the NZ team, details around which will be advertised later this year.